Virtual or remote leadership is becoming more common. You have the ability to lead teams outside of the office. But what do you do to help keep the team connected and working together? Yengyee Lor knows these struggles. 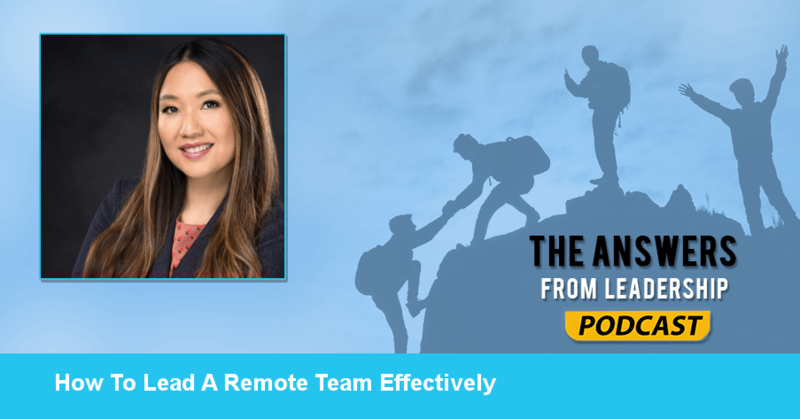 She’s an expert in helping remote leaders lead effectively. Listen in to today’s Answers From Leadership podcast to learn the struggles of being a remote leader and how to deal with these trials. For today’s purposes, we’re talking about virtual leaders. So, I’m going to focus on leaders in the virtual world. How would you define leadership? Whether virtual or physical leadership? I would define leadership as qualities or skills of a leader that is able to empower others to lead their best selfs. What does virtual leadership look like? How does virtual leadership differ from other kinds of leadership? I think it just adds different components. It’s different in that you have to engage people via virtual technology. You can’t walk down the hall and engage people face-to-face. What are some of the ways you can connect with virtual workers? Phone, face-to-face, instant messaging, platforms where you can chat and list ideas… I think those are the primary ones. What are the challenges leaders face being remote? Communication is the other key. How do you engage people via technology? It’s very different than trying to establish trust with someone that is right there. You’re going to have to make more effort and develop trust the best way you can. That’s through engagement. More consistent engagement. How can a leader form a cohesive team remotely? It is having a synchronous meeting where everyone is there at the same time. A virtual get-together with your group! Just chat about different things. Take an extra step to include some personal situations that have happened. 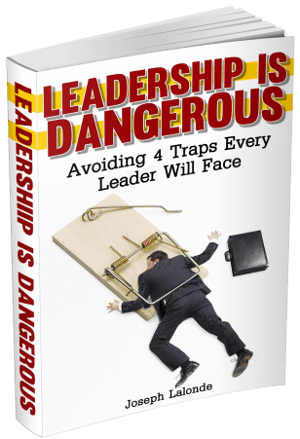 Are there any other issues leaders need to be intentional about when leading remotely? I want to emphasize again that all the voices are heard. It’s easy to get lost in a team that’s virtual. Make sure there are platforms for people to voice their opinions. But also, check in with your virtual team members. Ask them what they think. Do you have a book you’d like to share that has had a major impact on your leadership? The book that I really like and coincides with my niche is Mark Sanborn’s You Don’t Need A Title To Be A Leader. What do you wish you would have known about leadership when you were in your 20’s? When I was in my 20’s, I always thought leadership was this outside job. You had to be this controlling or come across as someone who is in control of your life or situations. In my mind, that was leadership then. Leadership now is an inside job. It’s about building that person from within. It’s about who am I? What legacy am I going to leave? What empowers me? What drives me? And it’s about helping others work on themselves from the inside out. Faitfulconsulting.com. I have a Facebook group as well – Faithful Consulting. My wisdom is that whether you’re leading virtually or in-person, it’s still about empowering your employees to be their best. Use the leadership qualities you have and be creative. Question: Are you a remote leader? If so, what has been your biggest struggle in working with a remote team? Let me know in the comment section.